Two or more containers may need to be logically isolated from other containers. The isolated containers need to share the same IP address and cannot be deployed with other cloud services on the same virtual or physical server to remain compliant with the required level of isolation. They cannot share an IP address with any other process or cloud service outside of their logical boundary. 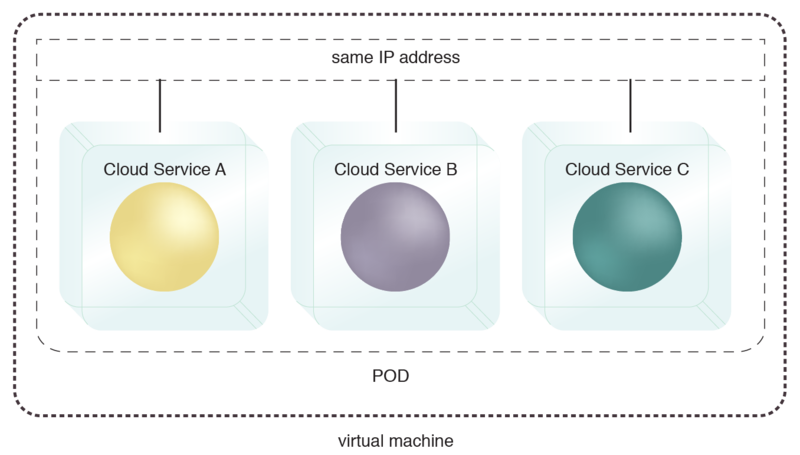 A single pod deployed on a virtual server allows the hosted services to share the same IP address. The pod can also be deployed directly on a physical server.